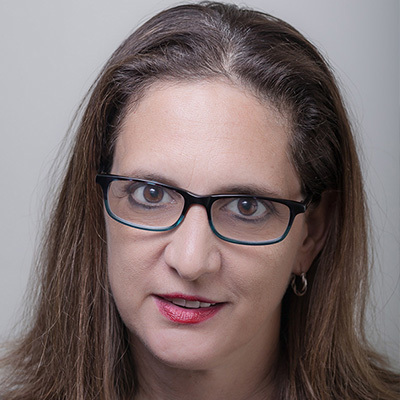 Jaime Levy is an author, college professor and User Experience consultant based in Los Angeles, California. 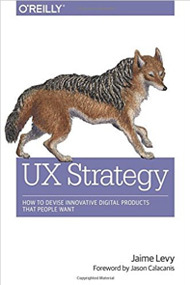 Her book "UX Strategy: How to Devise Innovative Digital Products that People Want" was just published by O'Reilly Media. Jaime heads a consultancy called JLR Interactive that caters to startups and enterprises, helping them transform their business concepts into innovative and scalable online solutions. She also teaches a graduate level UX design and strategy course in the Viterbi engineering school at the University of Southern California. To learn more about Jaime Levy, look her up on Wikipedia and LinkedIn. And her book is available on Amazon! User experience (UX) strategy lies at the intersection of UX design and business strategy. It is a process that should be started first, before the design or development of a product begins. It relies on empirical, lightweight tactics for pushing cross-functional teams toward a unique digital solution that customers want. When building a digital product you need to learn as much as you can about the competition. That’s why conducting market research and analysis is a crucial component of business strategy. You want to know what's out there, what's worked, and what hasn't. This requires firsthand knowledge of the good and bad user experiences and business models provided by your competitors. If done thoroughly, the research can provide a treasure trove of insight into current trends and outdated manifestations of mental models. Take this workshop to experience a deep dive into the subject matter with both lectures and hands-on exercises. We’ll practice with a made-up value proposition of an online product so that you can learn the steps you need to take for informing strategic UX-centric decision-making. UX/UI practitioners of any level, product managers, and startup founders that want to learn how to be more strategically sound in their process. It’s also geared for aspiring strategists who want to reposition their career tracks with more marketable skill sets.